CoStep.Co are running a series of stand alone workshops over the Summer. These workshops are open to ALL. Dance Class. Instruction, Practice, Workshop and Social for Modern Ballroom, Swing, Latin American and Tango (Argentine) Dancers. 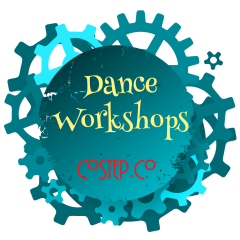 CoStep.Co teach dance classes in Scotland - Stirling, Lanark, Falkirk (Grangemouth) & Glasgow (Renfrew). They teach Argentine Tango & Modern Ballroom (also Latin & Swing) In addition to weekly classes they run workshops, practicas, masterclasses and give private lessons. CoStep.Co also specialise in teaching couples how to dance for their Wedding First Dance - visit their website www.costep.co for information on the various ways they can help you prepare for your special day.